How Are You Celebrating 3.14.15? With a Pi[e], I Hope! 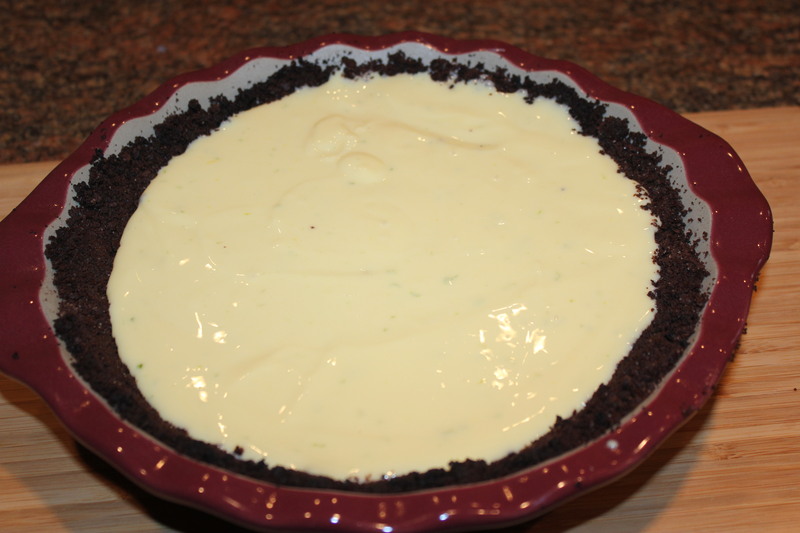 I thought long and hard about what kind of pie I wanted to make for this most worthy occasion and finally decided after all of the recent snow and ice storms in Raleigh and my yearning to be in Key West to make this Tequila Key Lime Pie. Something to celebrate spring, with a little bit of attitude with the tequila, since this will be the only time this date ever happens again. Talk about things going right and things going wrong. 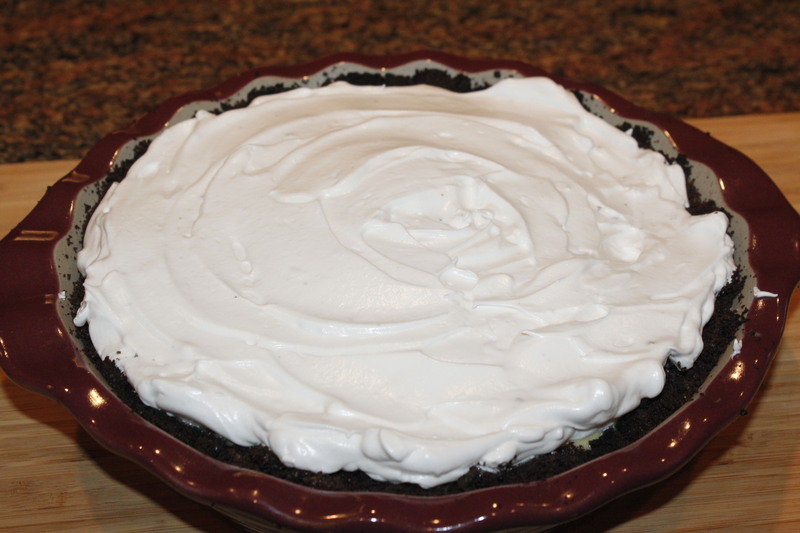 The pie itself was awesome, but the homemade chocolate graham cracker crust left a lot to be desired. 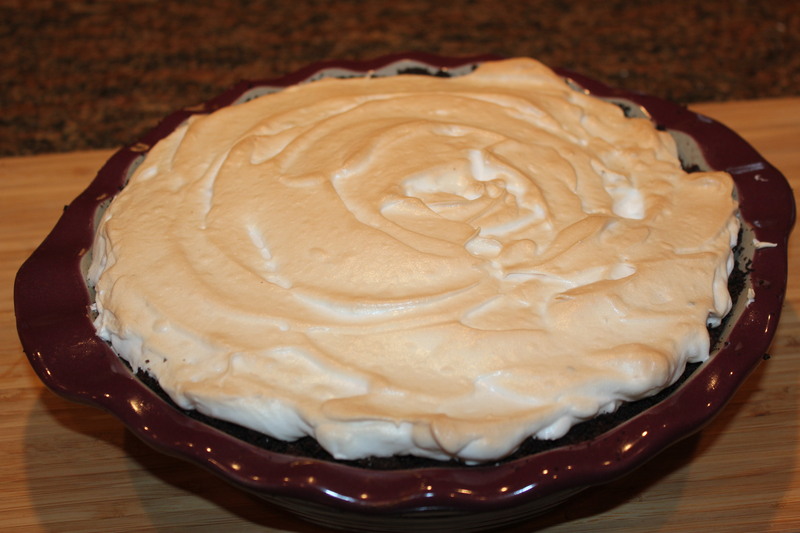 It tasted great, but was messy, messy, messy, and that carried on to the filling and meringue topping. Next time I’ll buy a premade crust, which I’ve done in the past with great results. So while my photos show ingredients for the crust, I’m skipping that part. Preheat oven to 325 degrees F. Follow directions on your premade piecrust for preheating it before you fill it. 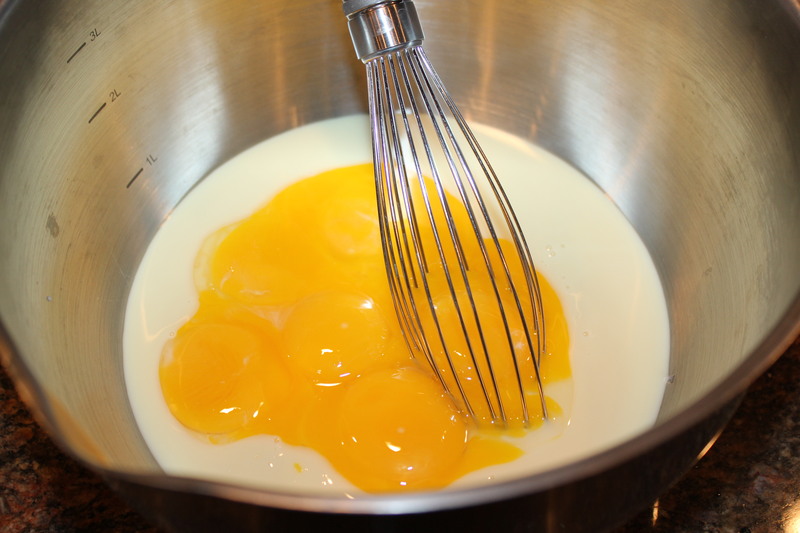 Place condensed milk and egg yolks in a medium bowl. Whisk until well blended. 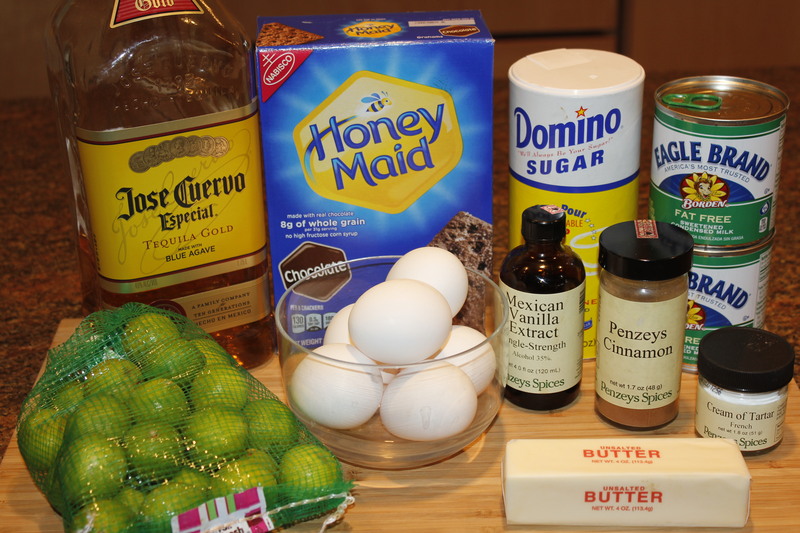 Add the tequila and lime juice and zest, and whisk some more. Pour this mixture into the graham-cracker crust. Bake for approximately 15 minutes until the center is set. Remove from oven. While the pie is baking, prepare the meringue. 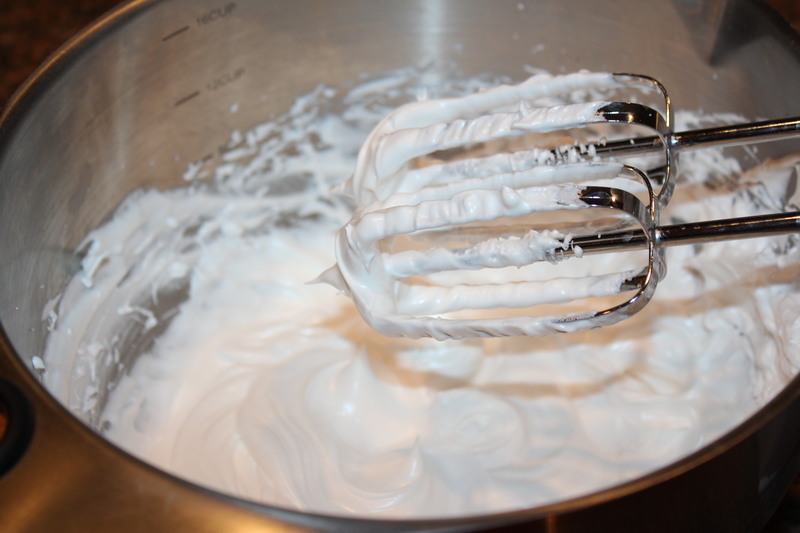 Place the egg whites, vanilla extract and cream of tartar in in a medium bowl. 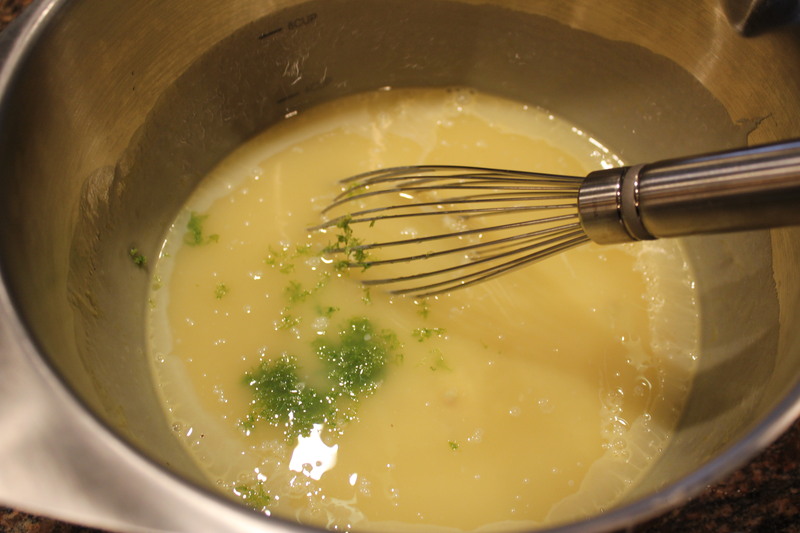 Beat with an electric mixer on medium until soft peaks form. This will take several minutes. 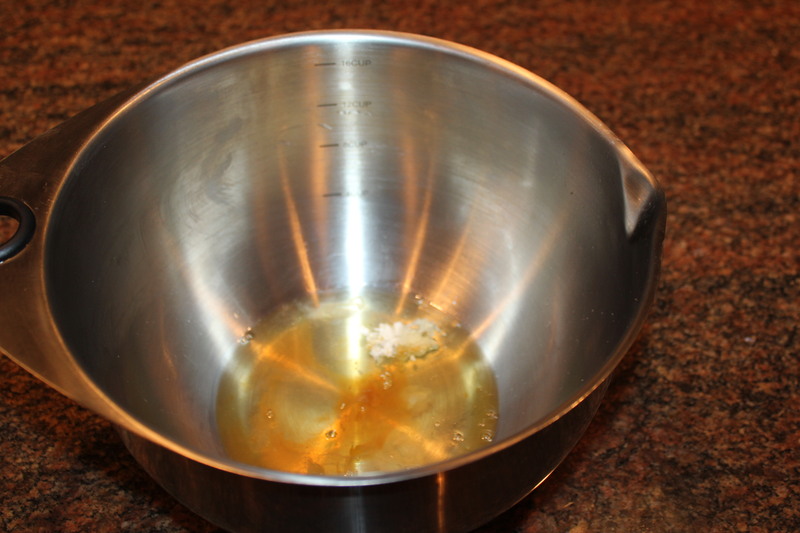 Start adding the sugar, a tablespoon at a time, until stiff peaks form. Spoon the meringue on top of the filling. Return to the oven to cook 8-10 minutes. Important! Make sure you watch the last few minutes of cooking time to ensure the meringue doesn’t burn. Garnish with something green, like limes or mint or stuff like that to make it pretty. Chill the pie for several hours and then serve with a margarita and pretend you really are in the Keys! Happy Pi[e] day, my friends. Especially to those like my husband, who can recite 30+ digits of pi, and then the rest of us, who just like to eat it. 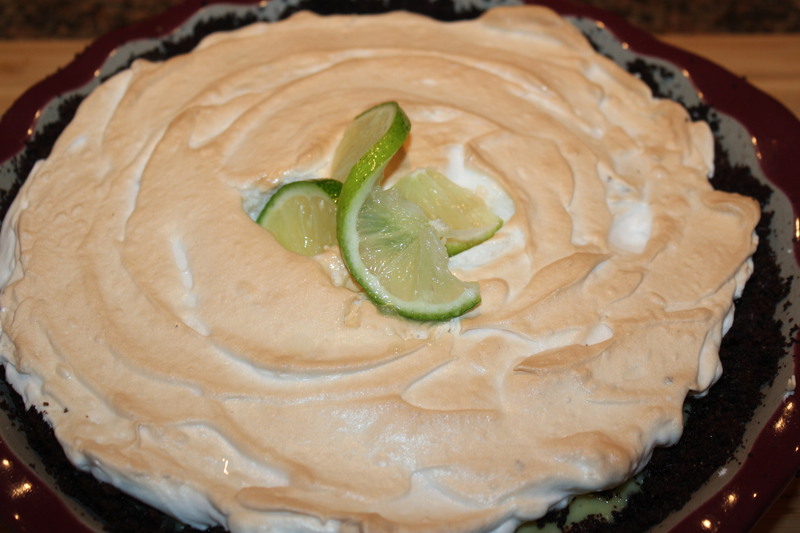 This entry was posted in Desserts, Recipes and tagged eat drink and be merry, Kel's dessert recipes, Kel's Tequila Key Lime Pie recipe, Kelley Chisholm recipes, Key Lime Pie chocolate graham cracker crust, Tequila Key Lime Meringue. Bookmark the permalink.